In 1971 I was invited by Israel’s Government Press Office to preview the newly excavated 4th century synagogue at Khirbet Susya in the southern Hebron hills. The synagogue was surrounded by barren limestone hills with a few Arab villages in the distance. Unbeknownst to me then, in caves just to the east of the synagogue lived Palestinian Arabs. They lived there until 1986 when Israeli authorities expelled the cave dwellers, claiming the area part of a national archaeological park. The cave dwellers resettled in tents between the excavated synagogue and the Jewish hilltop settlement of Susya that had sprung up in 1983. 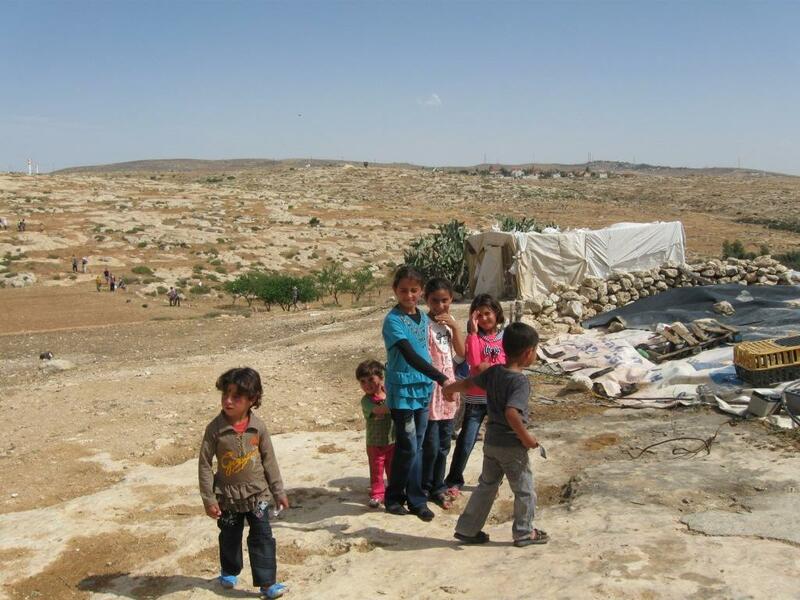 The Jewish settlement expanded in 1999 and in 2001 the Israeli army destroyed the temporary dwellings and cisterns of the Palestinian ex-cave dwellers living nearby. 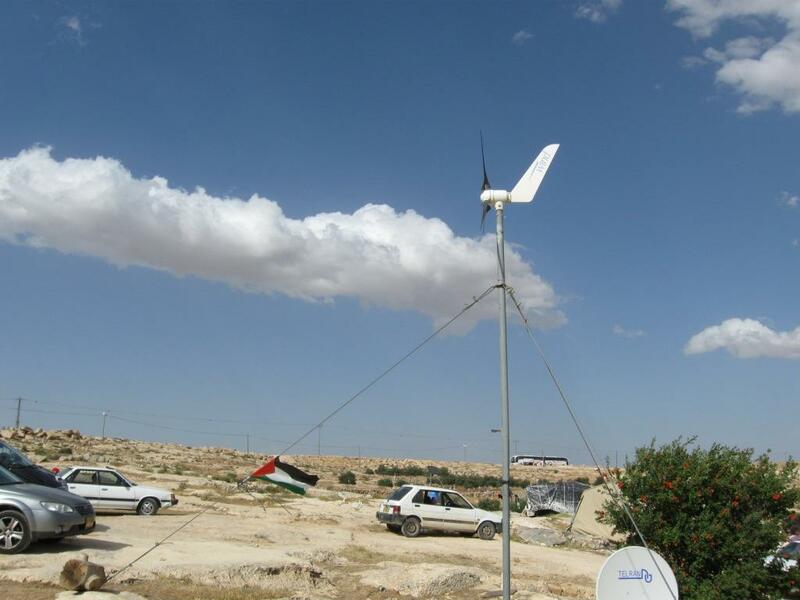 Colored photographs of this expulsion line the inner wall of a black tent in Palestinian Susya. The tent serves as The Susya Creative and Learning Center (SCLC) and while participating in its first anniversary celebration, I find myself locked in the middle of a crowd of animated and loud Arab women. They are trying to tell me, who does not understand Arabic, what happened to them on that transformative day in 2001 when they lost their homes, yet again. Their eyes, tone and wild hands and arms convey the still raw outrage at this calamity. 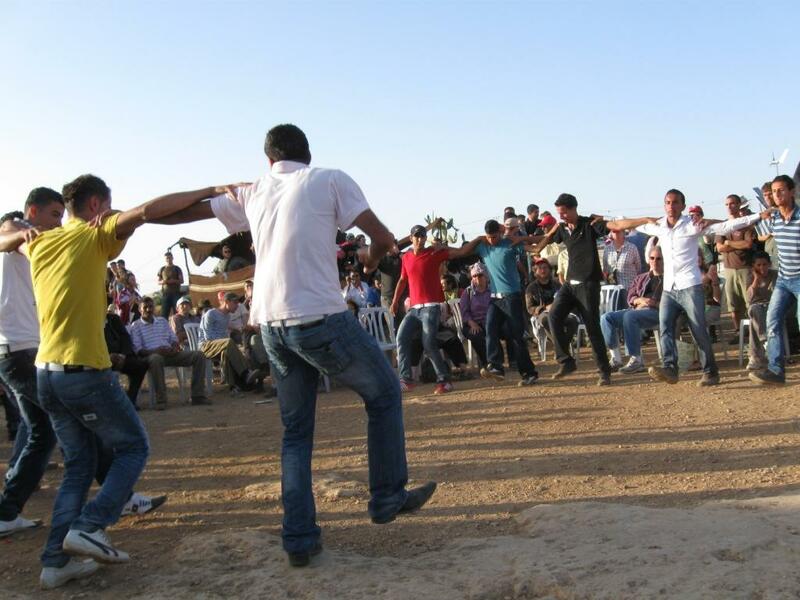 I can’t do anything about the separation fence that divides Israelis from Palestinians, but I can do something about the psychological wall, so when a friend sent me the email announcing the celebration, I decided to go with two busloads of Israelis and international activists. The kind of energy that interested me more was the creative artistic energy showcased during the day. In fact, the event was marketed as a cultural tribute to the nonviolent resistance of the Palestinian people, the idea being that the Israeli occupation can make their physical lives miserable, but cannot oppress their spirit. There was great debka energy. 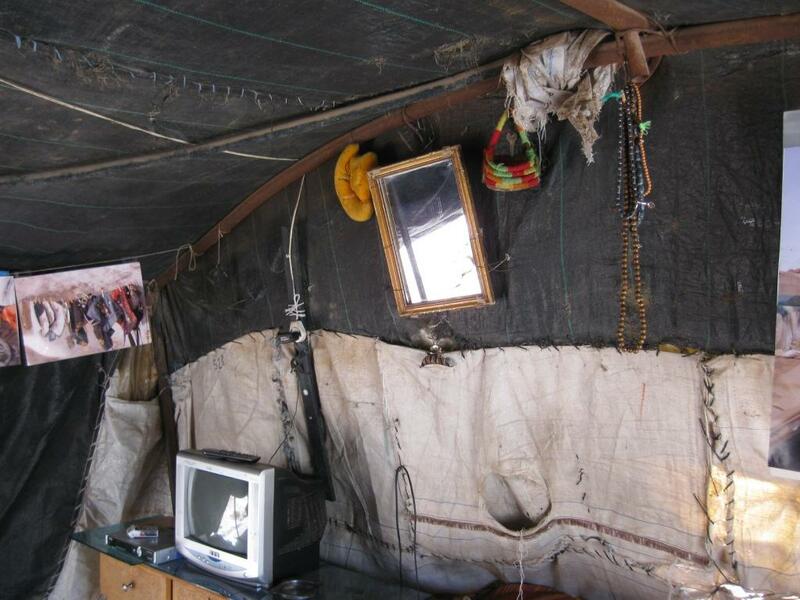 I visited a family who lived in a used Israeli army tent they had purchased and refurbished for their use. We sat in the shaded porch. The wife in her long red dress served sweet tea while the husband, hunched over on a stool, asked, “Why are you Israelis afraid of me? What do you think I will do to you?” Then he proceeded to tell us about his life in the cave, where he was born, his new television, the harassment from his Jewish settler neighbors and his desire to live in peace. 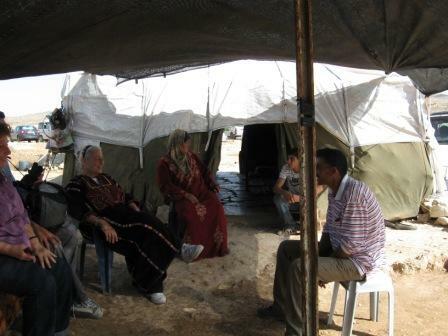 The woman in the long black Arab dress is an Israeli who lives on Kibbutz Shoval north of Beer Sheva. 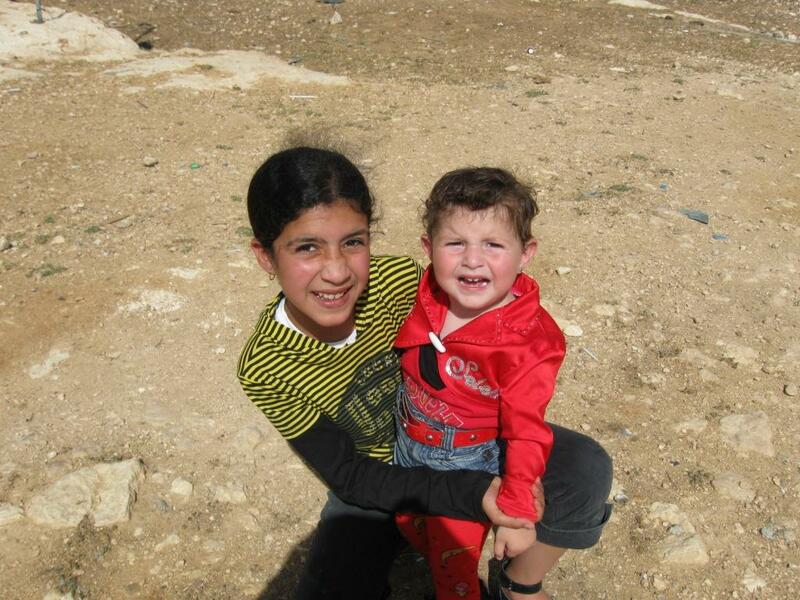 She has been visiting Susya for years and she spent the night before this big event in the tent with this family. 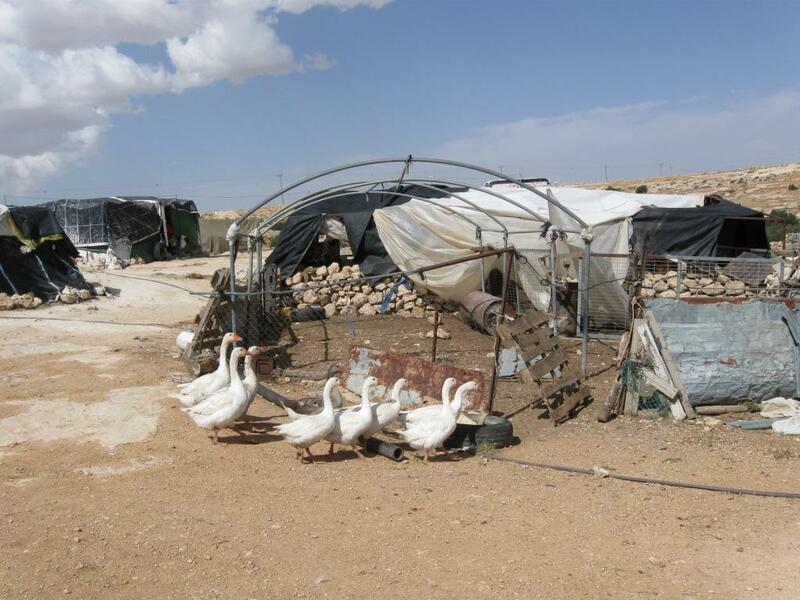 You too can spend a night or two with a family in a tent in Susya. The Learning Center offers visitors the opportunity to come and learn Arabic for 2-3 days– total immersion in the language and Palestinian tent culture. Contact susyacentre@gmail.com for details. In the Creative and Learning Center, Palestinian children and adults learn Hebrew and English, as well as crafts, digital photography, kite-making and computer skills. From walking around the hillside, it seemed to me that the people who live there have an instinctive sense of modern sculpture. 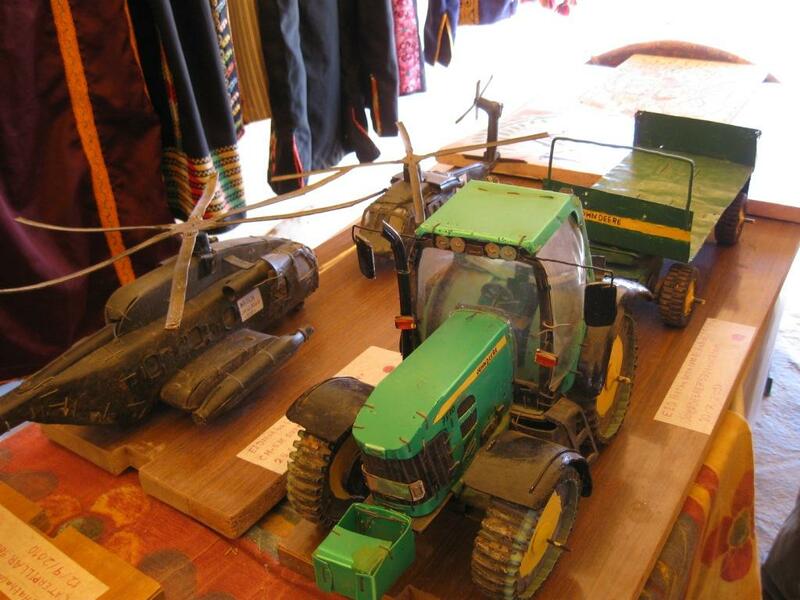 They transform found objects into useful, creative structures. 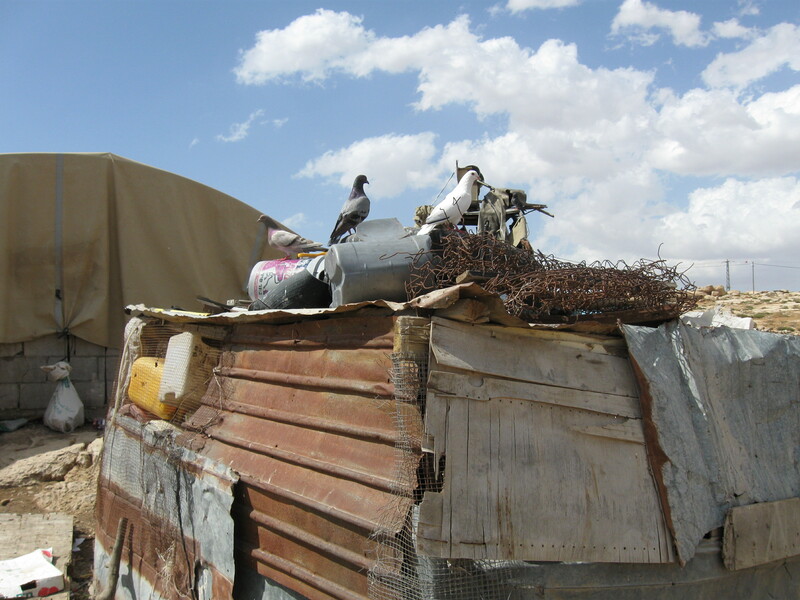 Take this dovecote, for instance, put together with a concoction of debris. I wandered around– encountering geese that “speak all languages and thus welcome everyone,” according to their owner; a TV in a tent; a suspended sheep’s stomach full of milk (for making butter cheese and yogurt); a child in an Elvis outfit and kids roaming the ‘hood. 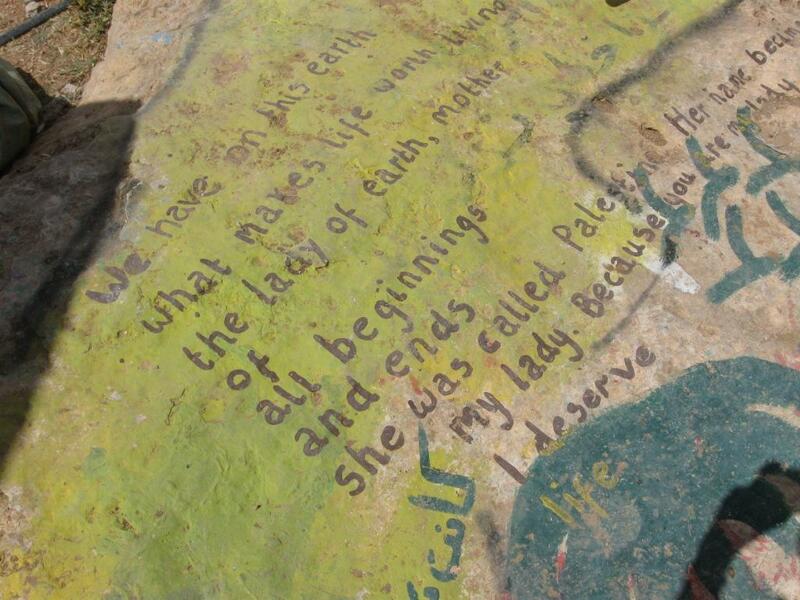 On the way back to the bus, I saw a love poem to Palestine written on a rock. What a remarkable way, I thought, to express one’s love of place. 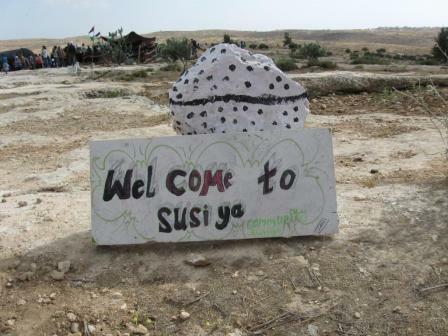 I’m glad I visited Susya again. It’s taken me forty years to see beyond the synagogue. 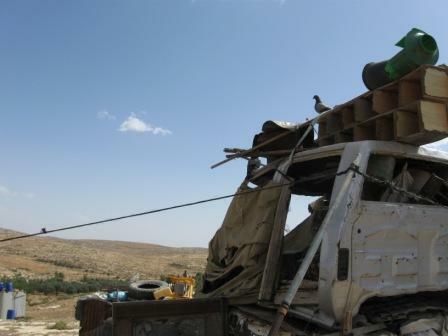 This entry was posted in Palestine and tagged Susya Creative & Learning Centre. Bookmark the permalink. 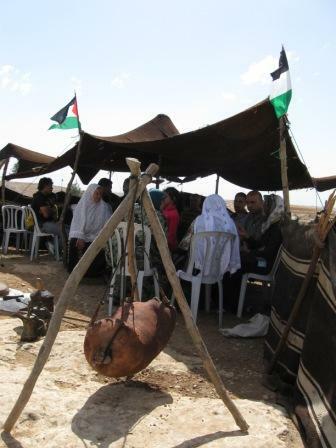 Judy – thanks for great description of the celebration at Susiya, which I’d hoped to attend but simply couldn’t make it. Glad to that you are now able to see beyond the synagogue…. Stay tuned for my take on the Bob Dylan concert.